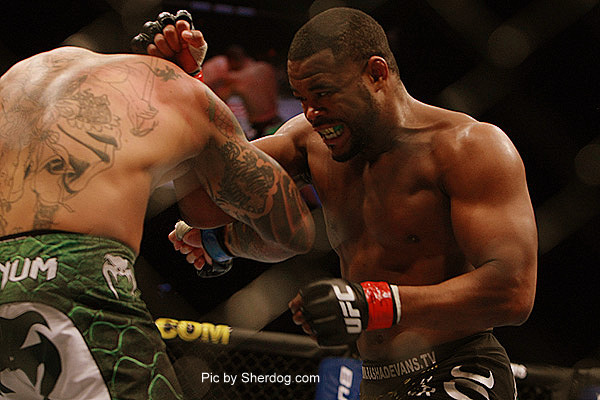 Rashad Evans has been a strong contender in the light heavyweight division for a while now. He won TUF season 2 as a heavy weight, dropped weight, and continued his undefeated streak all the way to the light heavyweight title where he KO’d Forrest Griffin for the belt. Watch the video below to hear Evans break down his KO victory against Liddell in an interesting play by play format. Video courtesy of FuelTV and the UFC.